May 7, 2013, 5.30 - 7.30pm, North Kensington Library. 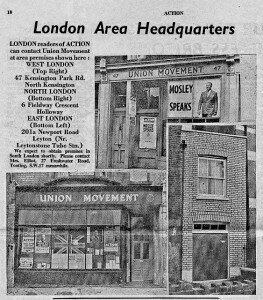 Cathi Unsworth, author of Bad Penny Blues, Tom Vague of the Community History Project, and I will be discussing Oswald Mosley's last-ditch effort to revive his political career in Notting Hill in 1959, the year of Kelso Cochrane's murder. The event is free but booking is required. To reserve a place, visit North Kensington Library in person, or call Kensington and Chelsea libraries on 020 7361 3010.